The final primary day took place on Tuesday and there was, of course, a lot at stake. There were six states voting for the Democrats and five for the Republicans. For the Democrats, there were a total of 694 pledged delegates at stake for Hillary Clinton and Bernie Sanders, and a total of 303 for Donald Trump, who will unsurprisingly won all five primaries. Along with these final moments in our long and tiring presidential primary election process, it wouldn't be right to end these last months without some hilarious final primary day memes and jokes. 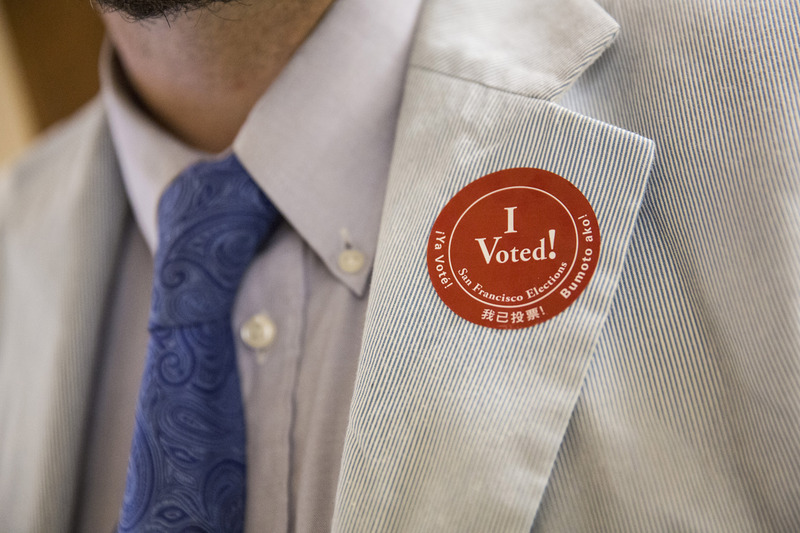 On Tuesday, voters had their final say in the nominating process, heading to the polls in California, New Jersey, Montana, North Dakota, New Mexico, and South Dakota. As the polls slowly started closing at 8 p.m. ET in New Jersey, the votes started to trickle in with Clinton being named the likely winner in the state. Trump also won in New Jersey, though he is currently the last man standing with the GOP, so his win isn't the most shocking news of the night. But with the primaries quickly coming to their end, here are some important memes and jokes to get you through the night. Although you might be sad that the primaries are over and you won't get to enjoy the classic primary day memes, rest assured there will be many more to come as Trump and Clinton go head to head for the next few months.